Gears of Halo - Video game reviews, news and cosplay : Is the FemShep for you? According to Bioware (the game producers) Mass Effect players who picks the starting version of the game's Commander Shepard character are a rare breed. Bioware have said that only 13 percent of players pick the default version of the male avatar. The remaining 87 percent tweak the character's appearance, class, or gender, before heading out for the stars. 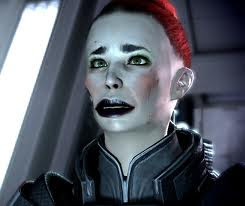 The Femshep as she's sometimes known is chosen 18 percent of of the time. Its probably this statistic that's lead to FemShep going to be used in the promotional material for Mass Effect 3 - which I think is probably a gaming first? I think the 18 percent stat might be a little misleading - most people probably pick male Sheppard and then on their second or third run through of the ME campaign will choose the female version. And stick with her cos she's awesome!